The breathable, sustainable alternative to concrete. A limecrete floor consists of a compacted layer of Recycled Foamed Glass insulation on top of prepared sub-base and geotextile membrane. This is followed by another layer of geotextile and limecrete produced using lightweight insulating aggregate rather than conventional sand. 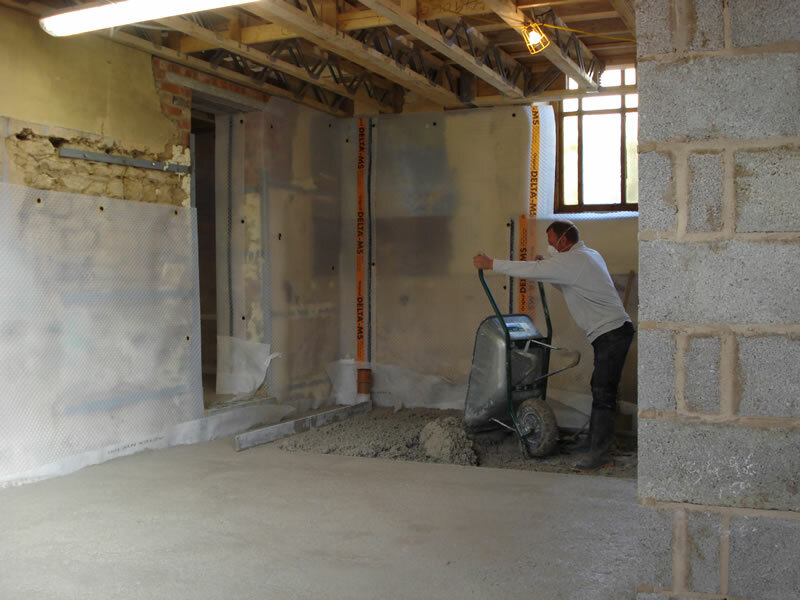 Depending on individual requirements this can be followed by screed before the final floor finish. Underfloor heating works well with limecrete and can be laid directly in the slab or installed in the screed. 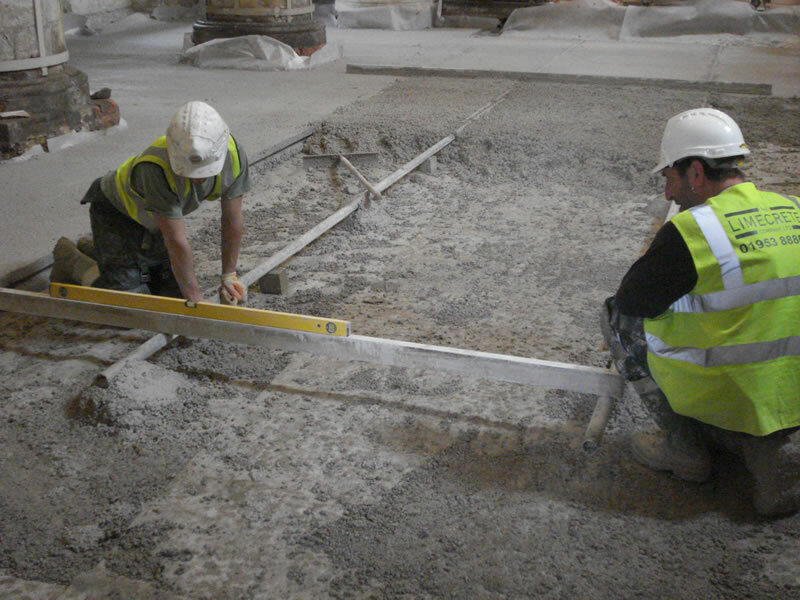 We offer fibre re-enforcement to provide greater strength, sooner, without compromising the breath-ability or life of the limecrete. We successfully work with limecrete inside during the winter by heating the water. The ambient temperature of the room then needs to be maintained. We have addressed some frequently asked questions in our Limecrete FAQ. Please contact The Limecrete Company if you need any more information. Read an article we wrote for Ecclesiastical and Heritage World (July 2011) Limecrete Solutions. We are prominently featured on the blog Designed to Breath following the construction of a low impact, straw bale house in Cambridgeshire. The blog contains interesting photos, videos and information on limecrete and other sustainable building technologies. You may also be interested in hempcrete.